Allstate Fire Equipment has been a long time industry leader dedicated to providing quality fire protection products and services. Our trained and certified staff and a regional network of independently owned and operated offices brings expertise directly to your door. Allstate Fire Equipment family of companies has built its reputation on providing superior customer service. 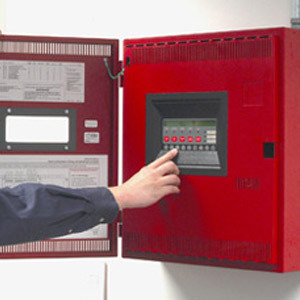 We specialize in the testing and maintenance of a variety of fire suppression equipment and systems. Kitchen conditions require specific fire suppression. Allstate Fire Equipment experts have the highest certification and have all the appropriate manufacturer's training needed. Allstate Fire Equipment is the only company you need to inspect, service, or upgrade your present systems or install the most appropriate kitchen system for you business without interruption. 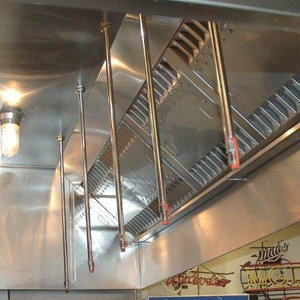 To maintain a kitchen systems UL300 listing and current code requirements, your automatic fire suppression system must be inspected on a semi-annual basis by a licensed company. 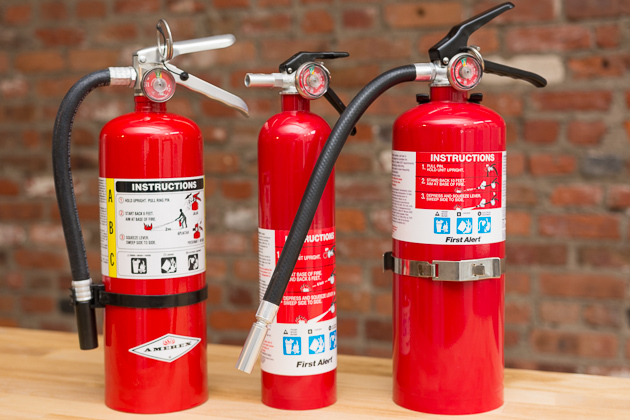 Allstate Fire Equipment technicians are trained to ensure your fire extinguishers are in compliance with NFPA 10. Multi-Purpose or ABC, and Regular Dry Chemical portable fire extinguishers are the most widely used extinguishers. Our technicians are equipped to recharge, repair, and complete a 6-yr Maintenance on your extinguishers while at your facility. In the event a fire extinguisher is removed from service for maintenance or recharge, we will replace it with a fire extinguisher suitable for the type of hazard. 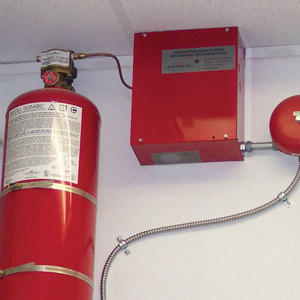 Allstate Fire Equipment can also assist you with the purchase and installation of new Portable Fire Extinguishers. All inspections are handled by Allstate Fire Equipment, we do not use subcontractors. A functional test shall be conducted on every required emergency lighting system at 30-day intervals for not less than 30 seconds. An annual test shall be conducted on every required battery-powered emergency lighting system for not less than 1-1/2 hours. By incorporating fire safety equipment into a monitored alarm system, you can ensure a Site response to any fire safety emergency. Combines both the local audible alarms with notifications of the alarm to the Central Monitoring Service which can dispatch the fire department. A trained person who has undergone the instructions necessary to perform the maintenance and recharge service reliably and has the applicable manufacturer's listed installation manual and service bulletins shall service the wet chemical fire-extinguishing system 6 months apart. Allstate Fire Equipments Clean Agent Fire Suppression Systems are designed to protect the contents of the structure, high-value assets, and business continuity. Utilizing the industry recognized FM-200 and 3M NOVEC 1230 suppression agents, Janus has developed an affordable pre-engineered clean agent fire suppression system to protect areas with sensitive electrical equipment and valuable data. 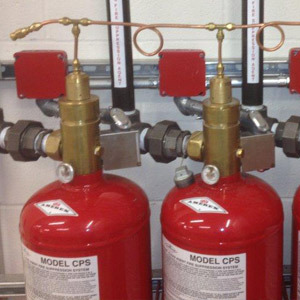 Allstate Fire Equipment service technicians can help you design, install, service, and test & inspect your Clean Agent Fire Suppression System.